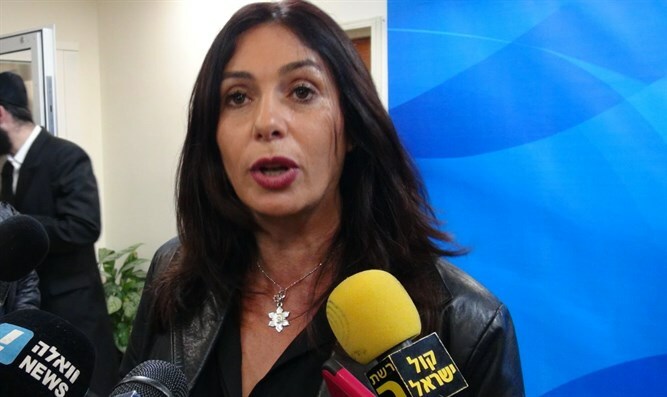 Culture Minister Miri Regev objects to absence of Sephardi Israel Prize winners this year. In a social network post entitled "Blindness", Culture Minister Miri Regev (Likud) reacted to this year's Israel Prize winners' ethnic affiliations. "It seems that in 2017, 70 years after the State's establishment, no suitable prize candidates could be found among the Mizrachi communities, Sephardim, or the non-Jewish sector," lamented Regev. "Exclusion of Mizrachim, Sefardim, and non-Jews apparently does not exclude the Israel Prize - a prize which should provide under one roof adequate representation of the populations that make up Israeli society. Even the Biton Commission [for Strengthening Sephardi and Mizrachi Identity in the Education System] apparently did not affect Education Ministry decision-makers. "In the State of Israel more than 50% of the population originate from Spain and the East, yet are nowhere to be found - not among the prize committee, and not among the award winners," claimed the Minister. Regev added, "We must reinvestigate and determine why the State Comptroller's conclusions a few years ago have not yet been implemented. The world of culture abounds with Sephardi and Eastern intellectuals and artists, yet among them all not one was found worthy by the prize committee? Who knows, maybe next year our luck will improve or the committee will abandon its blindness."